Ever wondered how to create a time-lapse in X-Plane 11? Wonder no more, as this guide will flash before you're eyes. Let's admit it: Time-lapse videos are pretty fun. Especially if they involve X-Plane and some dodgy programming. But how do you create a Time-Lapse in X-Plane 11, WITHOUT any extra software? Well, fellow pilots, this guide will fly by as you read it, because it's simple! First of all, go ahead and start up X-Plane 11. Turn AI traffic on, or do whatever you want to do with your time-lapse. Adjust the lighting, configure the weather and position your view in an appropriate place. Next, click on File, and then Configure Video Settings. 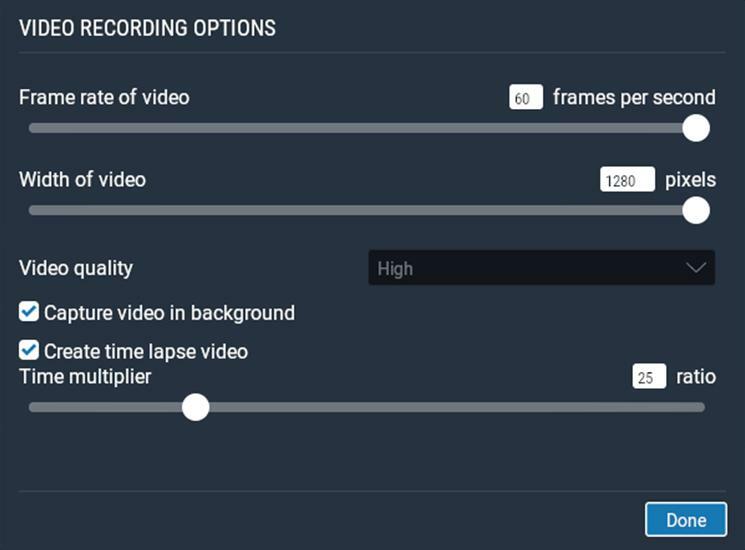 Adjust the settings for the video you intend making. In this case, I've selected some high settings. A frame rate of 60 will give smoothest results, which is what I record at usually. Lowering this to 24 gives the effect seen in films. CLICK 'CREATE TIME LAPSE VIDEO' TO ENABLE THE FEATURE. Upon clicking the time lapse button, a slider will appear. The time multiplier dictates how fast your video will play back. Set this to 100 if you'd like to simulate a day at the airport, or something like 25 for shorter time-frames. Then record by hitting Ctrl + Space, or from File. Hint: Recording a time-lapse, as in real life, will not speed things up. You can't attend and record an entire football match in five minutes, right? Same thing for X-Plane 11. The reason for this is because if the sim went any faster, then you'd effectively need to multiply the speed of your CPU by however many times your time-lapse is, as X-Plane 11 will need to calculate the whole sim much quicker.